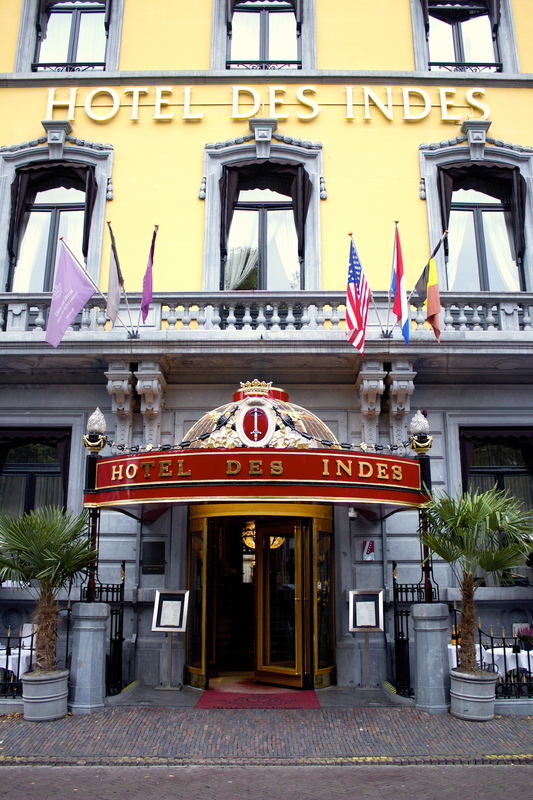 The Hotel Des Indes in The Hague, built in 1881 by King William II to house returning Dutch colonials from the Netherlands East Indies. Note how the front portico of the hotel still bears the coat of arms of the city of Batavia (today’s Jakarta). Last week I paid a visit to the venerable Hotel Des Indes in The Hague (the Netherlands) – the sister hotel to the late Hotel Des Indes in Batavia (today’s Jakarta), sadly demolished by Soeharto in the 1970s. It struck me, as I was revelling in the old world ambiance of the hotel, and then subsequently snooping around The Hague for visual traces of Dutch colonial history, that perhaps I was somewhat unhealthily obsessed with the colonial. My Grand Tour, while ostensibly a bid to “learn about the history of my region of origin”; is really a grand exercise in Nostalgia for the Colonial. Not just any colonial – but the kind of luxurious colonial that is probably a little politically incorrect to indulge oneself in, let alone proclaim a penchant for. That this form of colonial was almost exclusively white European – as in, I would have been systematically excluded from partaking in these colonial experiences in the day – just makes it seem all the more unhealthy, delusional and self-indulgent. But why – I wonder – am I so obsessed with the colonial past? And… is it morally right for anyone (particularly a post-colonial, like myself) to be so interested in a phenomenon (i.e. colonialism) regarded as exceedingly negative and often downright evil? I got the answer to both my questions from a Dutch collector I happened to pay a visit to, together my colleagues at the Museum; an interesting man that happened to own one of the most significant collections of Dutch Colonial furniture and art in the world – many of which originate from Batavia. “The history of colonialism is seen to be dominated by wars and struggles for independence, which were all undoubtedly horrible, particularly for the non-Europeans. But the reality is that in between these wars and incidences were long periods of time where everyday life took place – where people went to work, cooked dinner, built houses, bought furniture, brought up their children and so on. And in these periods of relative peace, a specific kind of artistry that mixed both European and Asian artistic traditions evolved and was captured in the forms carved, etched or painted on everyday objects people surrounded themselves and their lives with – furniture, kitchenware, ornaments, paintings. In emphasising the horrors of colonialism – those wars and struggles for independence; which are undoubtedly horrible; one then thinks that EVERYTHING to do with colonialism is horrible; and the result is that one then shies away from engaging with the colonial at all, except at a negative, critical level. And that is such a tragedy, because the colonial artforms and aesthetics that emerged – in all colonial traditions, not just the Dutch – are beautiful aesthetic traditions in their own right; deserving of attention and appreciation. They demonstrate that things were never black and white – that one was never purely European or purely Asian; but that in fact colonial society was fluid. Inter-marriage between Europeans and Asians were common, and so were mixed, Eurasian children. European tradition influenced the Asian, yes, but Asian traditions also influenced European taste in return. The unique aesthetic style of the furniture and decorative objects show this! It is with these words in mind, that I present some views of the colonial in The Hague – the one city most Dutch Europeans and Eurasians chose to “repatriate” to when they were thrown out of their country by Soeharto in the 1940s. They are barely-there traces remaining in a once-colonial city; but they are palpable all the same and worth documenting. Arciphelbuurt is a district in the Hague in which many returning Dutch Indonesians chose to stay. The streets of this district are named after islands in the Indonesian archipelago (therefore “archipel”) and other Dutch colonial territories. 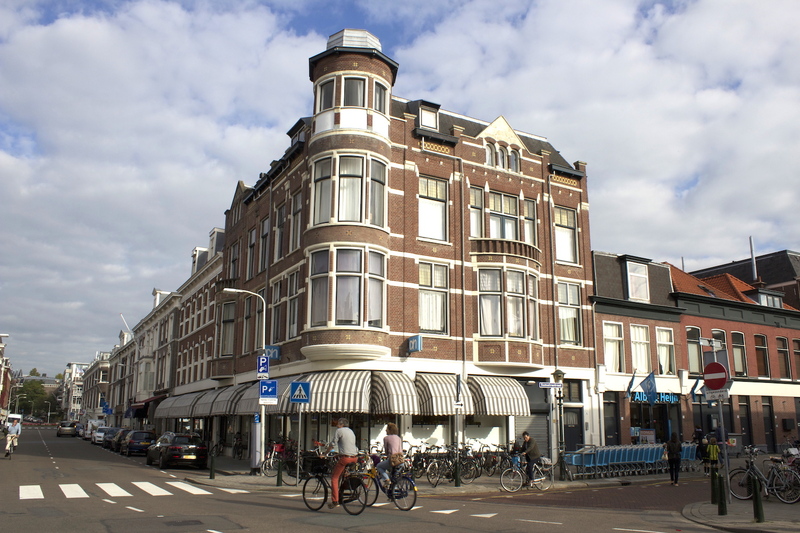 This is the view of a 19th century residential building on Sumatrastraat. 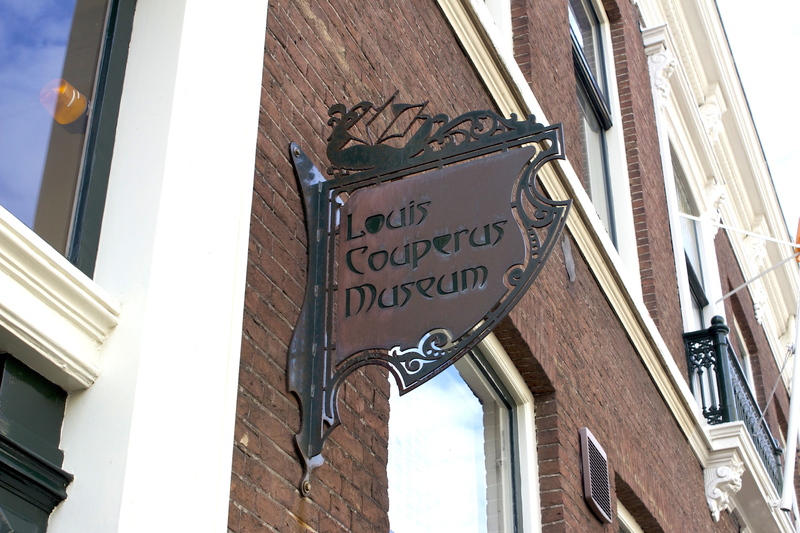 The Louis Couperus Museum in Archipelbuurt. Louis Couperus was one of the most important auteurs in Dutch Colonial Literature (as well as Dutch literature in general). He was born in The Hague, and spent part of his early years in the Dutch East Indies (specifically Batavia) before returning as a young adult to the Netherlands. He is famous for his novel De Stille Kracht (The Hidden Force) which is of a Dutch colonial family falling apart due to supernatural forces. The Huis van Europa is the seat of the European Commission in The Hague. 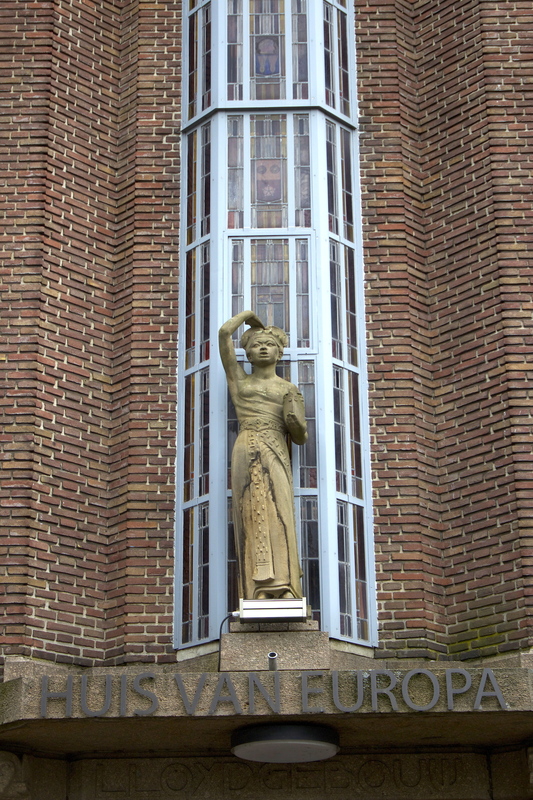 Interestingly, it is fronted by an Art Deco era statue of a Balinese woman. 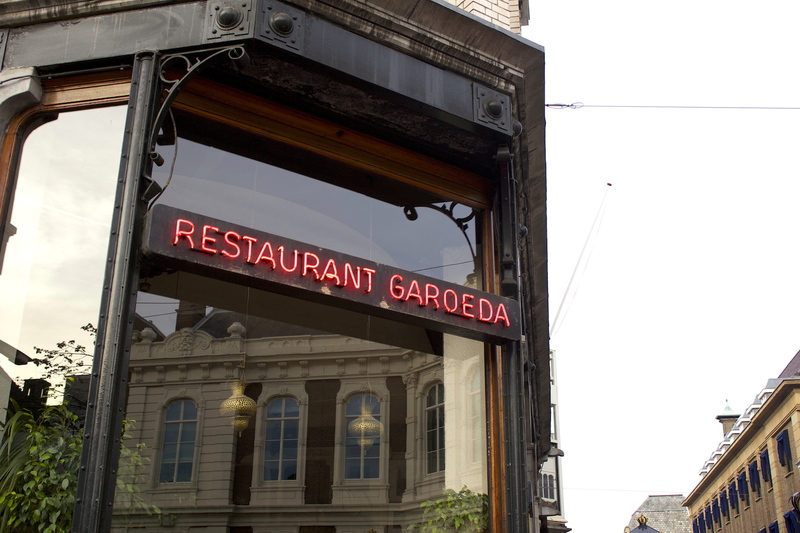 Finally, Restaurant Garoeda is one of the oldest and most established Indische restaurants in The Hague, established in the 1940s by a returning Dutch Indonesian. It is known for its rijstaeffel – those amazing multi-course set dinners of regional Indonesian dishes accompanied with rice. I had dinner there and found the rijstaeffel delicious. Gallery | This entry was posted in Art & Architecture, Cities & Regions, Culture & Lifestyle, Landmarks & History, Literature & Philosophy, Sociology & Urban Studies, Travel & Mobility and tagged Colonial History, Colonialism, Hotel Des Indes, The Hague. Bookmark the permalink.